What do you do when you’ve failed out of the biggest job of your career, in what might be the most high-profile way humanly possible? 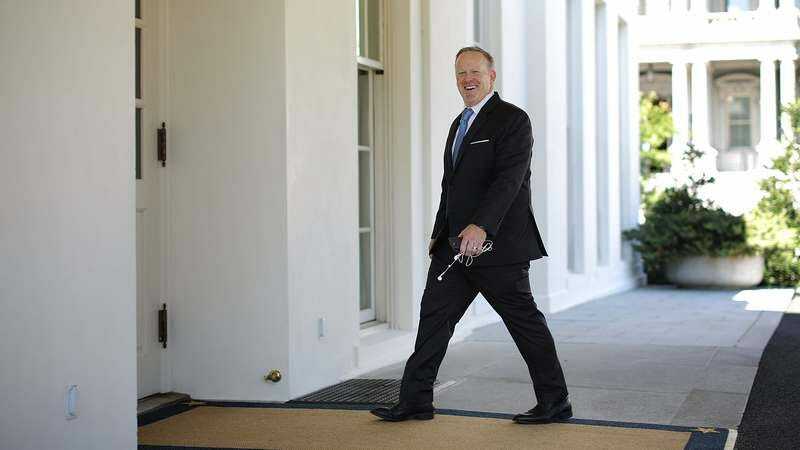 If rumors currently swirling around soon-to-be former White House press secretary Sean Spicer are to be believed, you might just slap on your dancing shoes and get ready to cut a rug on national TV. Now, this is all per The New York Post’s Page Six column, which tends to fall into the “Interesting if true” category of credibility. So we probably shouldn’t let the irresistible image of Spicer, red-faced and choking on a fist-sized wad of cinnamon gum as he attempts to execute a pirouette, seduce us into believing this beautiful nightmare might come to pass. For the record, the man himself—and the show’s masters at ABC—have both issued a “no comment” on his potential casting.